Last Saturday, the 2018-19 U.S. National Sled Hockey Team edged Canada, 5-4, to capture the 2018 Para Hockey Cup title in London, Ontario. The back-and-forth affair saw each teams hold a one-goal lead twice before the U.S. scored the go-ahead goal with 7:29 to play in regulation to secure Team USA's fifth consecutive title in the event. 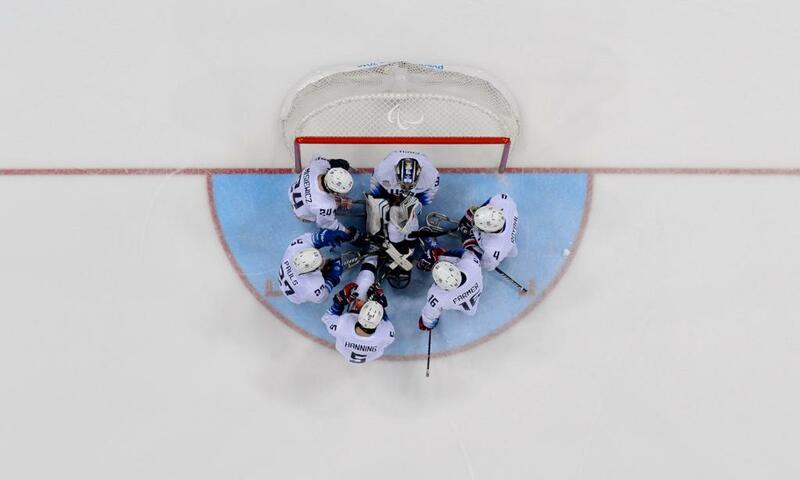 The journey to Team USA's seventh title in the tournament's 12-year history started with back-to-back shutouts against Canada (3-0) and South Korea (9-0). After a day of rest, the team again posted back-to-back victories over Canada (4-1) and South Korea (8-0) to secure a place in Saturday's championship game. In the decisive contest, Canada opened the scoring and held on for a 1-0 lead after the first period before Brody Roybal (Northlake, Ill.) and Josh Pauls (Green Brook, N.J.) scored early second-period goals to take a 2-1 advantage. The midway point of the frame saw back-to-back goals from Billy Bridges and Liam Hickey gave Canada another one-goal lead before Jack Wallace (Franklin Lakes, N.J.) scored his first goal of the game later for a 3-3 tie entering the final frame. An early goal by Kyle Zych (South Hadley, Mass.) put the U.S. up, 4-3, before a tally from Tyler McGregor knotted the score at four apiece. With 7:29 to go in regulation, Wallace tallied the game-winning goal as a total of nine different U.S. players contributed at least one point to secure the win for Team USA. For the fifth straight Para Hockey Cup, U.S. forward Declan Farmer (Tampa, Fla.) skated away as the tournament-leading scorer with 12 points (8-4) in five games. His eight goals were also a tournament best while teammate Brody Roybal (Northlake, Ill.) registered a tournament-high seven assists. Pacing all tournament defensemen was U.S. captain Josh Pauls (Green Brook, N.J.), who collected six points (2-4) in five outings while Jen Lee (San Francisco, Calif.) was the only goaltender to not surrender a goal as he posted a pair of shutouts in his two starts. All three U.S. players making their national team debuts -- Colin Gooley (Baldwinsville, N.Y.), Josh Hargis (Colorado Springs, Colo.) and Kyle Zych (South Hadley, Mass.) tallied at least one point in their first national team tournament. Zych led the newcomers with four points (3-1) in five games while both Hargis (1-0) and Gooley (0-1) added one point each. The U.S. will return to international action in March when it meets Canada for a two-game series in Indian Trail, North Carolina. Prior to the event, a number of the U.S. players will take part in the 2018-19 USA Hockey Sled Classic, presented by the NHL. Hosted by the Chicago Blackhawks in Chicago, the ninth edition of the event will take place Feb. 7-10, 2019, at MB Ice Arena, the practice facility and community rink of the Blackhawks.